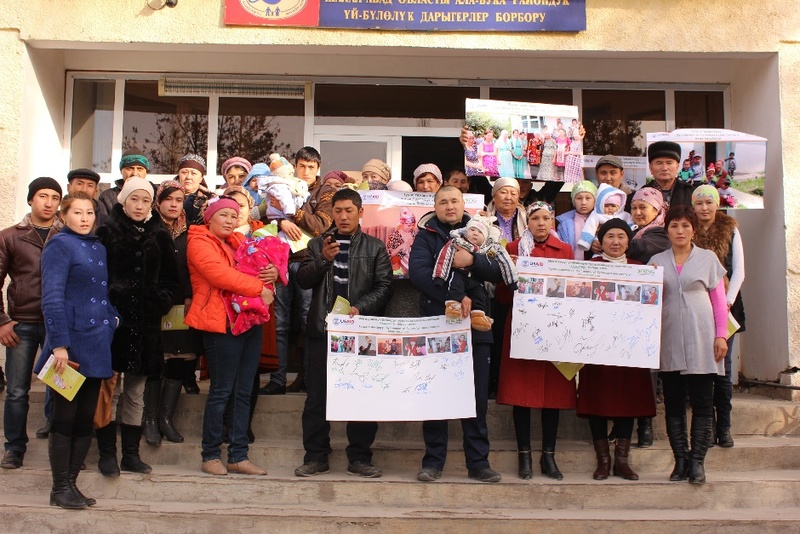 SPRING/Kyrgyz Republic hosted six gender-sensitive nutrition workshops in three regions of the country from November 25-30, 2015. Participants included 121 women and 37 men, 27 grandmothers, and 5 grandfathers among them. 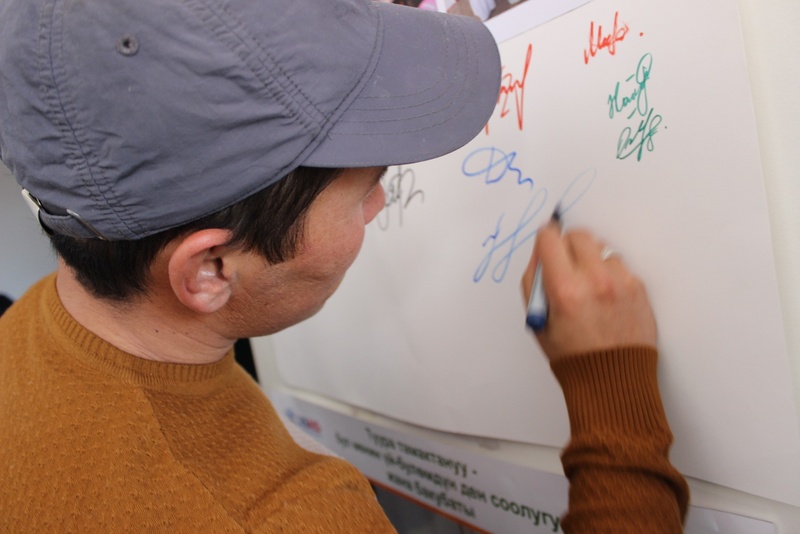 Designed to raise awareness among family members about the importance of supporting appropriate household nutrition practices, the workshops complemented and coincided with the United Nation’s global campaign around ending violence against women. Husbands, mothers-in-law, and other family members can impede proper nutrition practices when not informed and engaged. This is especially true during the 1,000 day period from conception to two years of life, an important window of opportunity for addressing chronic malnutrition and stunting. 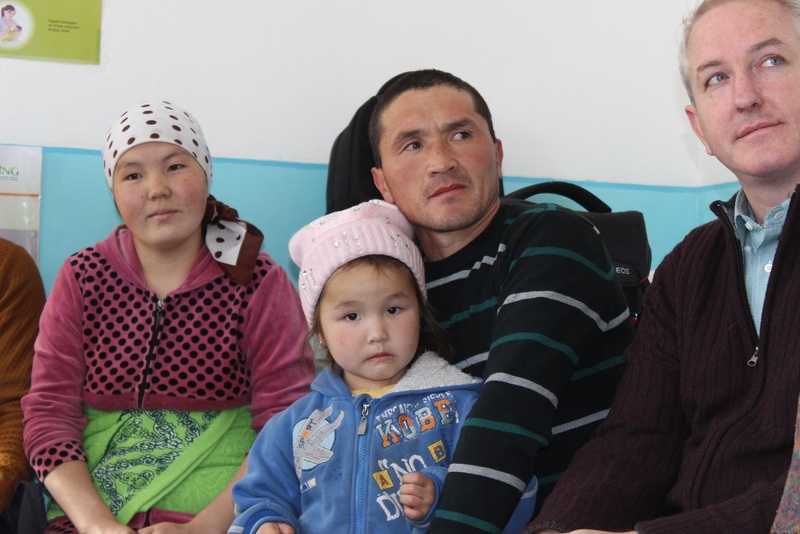 Our office in the Kyrgyz Republic conducted family-oriented, gender-sensitive nutrition information workshops in maternity facilities and birth/parenting classes at primary health care facilities. These events, hosted in partnership with health providers and facility staff, promoted nutritional awareness in a gender-sensitive manner, focusing on the role of different family members (i.e. men, grandparents) in support of better nutrition for babies and the family. Group discussions helped participants talk through ways different family members can participate in and support nutrition. The events took into consideration intra-household dynamics and power balances that can influence the adoption of optimal nutrition practices.